Science is a logical and a systematic approach to discovering and gaining knowledge about how things work in the world. It can also be termed as knowledge gained by the discovery on everything taking place in the world. Science is based on reproducible and demonstrable data it looks forward to getting measurable results by analysis and testing. It does not rely on preferences or opinions but facts and often challenges the ideas of others by doing research. Science deals with natural phenomena and whatever is supernatural is not part of science. The scientific method relies on the variety of steps for it to be complete. The scientific method begins by making observations, asking questions to gather information, forming the hypothesis, testing the hypotheses through experimentation and then analyzing the data to come up with conclusions. The analysis of the data leads to accepting or rejecting the hypothesis or the modification of the hypotheses. The last step in the scientific method is the replication of the steps so that there are no discrepancies regarding what has been observed. A hypothesis is a tentative answer to the problem being studied or an intellectual guess on the subject of discussions. A hypothesis is testable through experimentation. The theory, on the other hand, is an explanation about an aspect of nature in the universe. It is an organized form of knowledge that is acceptable and applicable in different circumstances with the aim of explaining the specific phenomenon. Science is very different from other sources of knowledge because it is systematic in nature, it relies on empirical evidence, it is universal in nature and reliable. Furthermore, it studies natural phenomena that are visible and testable. The methods used in science are also replicable. Because of the traits above that are unique to science, it is quite different from the other sources of gaining knowledge, and that is why it is increasingly becoming very powerful. Many advances in the field of technology have played an important role in ensuring that science continues to be a powerful tool in the collection of knowledge analysis and application of knowledge. Evolution has got supporting facts to prove that it is indeed true. Scientific methods have made it possible to prove the changes in species as time goes by. Evolution is scientific in nature because it has been studied for a long period and tests conducted. Furthermore, there are different sources through which information can be gotten. The sources have got enough evidence to support them. The field of paleontology is crucial in understanding and supporting evolution. Paleontology is the study of fossils, prehistoric sites, ancient climatic events, and footprints. When organisms die, they decompose, however, their imprints and bones which are left behind are important in studying how they have changed over millions of years. New layers of fossil and ground form on old layers and this is crucial in recording biological timelines. Fossil records indicate the sequence regarding the historical changes that have taken place in the organisms. This has made it possible to know how organisms have changed over time. It is also possible to use radiometric dating so as to know the age of fossils and rocks. Paleontology has helped in proving the changes that have taken place in dolphins and whales that initially had four legs and lived on land. At the moment, they have got flippers and back limbs that were once legs on land. Biogeography also has got enough evidence in support of evolution. Biogeography is the study of the distribution of species in different parts of the world. All species have got a common ancestor. Darwin closely observed animals in Galapagos Islands and realized that they looked like those in the Southern American mainland. However, the animals were very different from those in other islands with similar environments. He then made a conclusion that the Galapagos animals moved from South America and as time went by they developed into new species which eventually adapted to the environment. This explanation justifies why there are no penguins in Arctic, and polar bears are not found in Antarctic despite the fact that the two places are very cold and icy. Comparative anatomy also proves how evolution is true. From comparative anatomy, it is possible to establish that organisms with relationships have got common features. Similar characteristic is a depiction that the animals had common ancestral backgrounds. This is what is known as homology. It is possible to take note of the similarities and even compare the mammals’ forelimbs. Bats, whales, dogs and humans have got similar skeletal arrangements in their bodies. The only difference is regarding how the limbs work, however, the similarities in the body structures are an indication that the animals had got the same ancestor at one point in time. The ancestors had got similar structures, but as the animals moved to different environments, they had to evolved so as to adapt to the demands of the environment. The structures that have got common ancestral origin and perform different functions are the ones called homologous structures. Embryology deals with studying embryos and can be used to prove that indeed evolution is real. Many organisms have got the same structures recognized during development. The similarities are enough proof that there was a common ancestor shared by the organisms. For instance, the embryos of vertebrates have got a tail as they develop. Besides, the embryos of vertebrates equally possess throat pouches which play different roles in adulthood. In human beings, the pouches, become ears and throat while in fish they transform into gills. The relationship regarding embryos of different species is a proof of common characteristics shared many years back, and so evolution is true. Molecular biology gives reliable evidence on evolution. The workings of organisms the DNAs, it is realized that the protein molecules and enzymes in organisms store information regarding the origins of the organism. With this kind of information, it is possible to understand evolutionary events which were initially not known and difficult to understand. 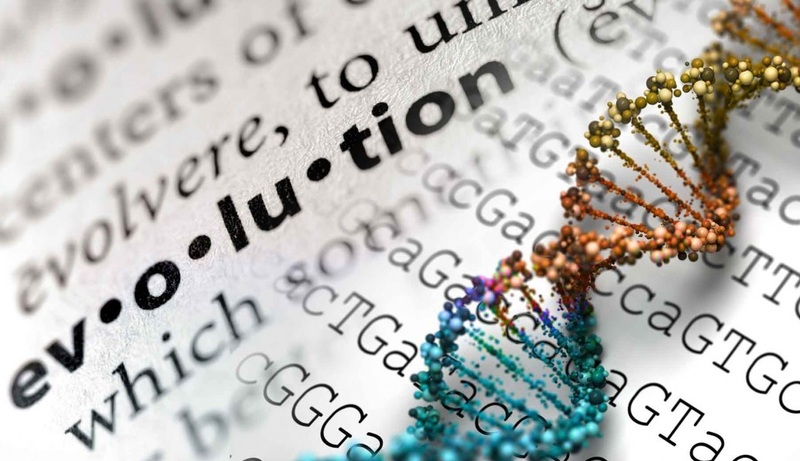 Molecular biology reconstructs evolutionary events precisely, and that is, why it is one of the most reliable methods in evolution. Molecular biology also proves that organisms have got the close relationship because of the common origin. There is uniformity in molecular structures of organisms. Furthermore, the molecular structures are used in similar ways just like having similar methods of assembling them. All organisms have got the same nucleotides even if the amino acids are arranged differently. The genetic code passes information in the DNA to the proteins in a similar way. Organisms also use the same metabolic pathways and have similar biochemical reactions that produce energy for performing the various functions in the body of organisms. Molecular biology justifies the truth of evolution that there are individuals who have cast doubt upon. Geology which is the study of the arrangement of rocks is equally important in explaining evolution. According to geology, if layers of rocks are not disrupted, the fossils occur in order that is sequential in nature. Modern fossils are found in the top layer while the old ones at the bottom. Sequencing the fossils is necessary as it gives the chronology of species from the youngest to the oldest. The fossils of organisms in the lower strata revealed that the organisms were more primitive as compared to those on top. The differentiation in fossil traits shows that organisms have evolved over a long period. Natural selection holds that organisms keep on changing as time goes by. The change can result in the development of a new species through reproduction. When animals reproduce, the offspring acquire different genes from them. The genes can end up changing through mutation. The change in genes can help organism acquire traits for survival and reproduction in the environment. Maladaptive traits, on the other hand, reduce the chances of organisms to survive and reproduce in their environment, and so they die leaving those that can survive. The species that have adapted to the environment keeps on changing regarding their genes and this can bring about the origin of new species. Natural selection and genetics, therefore, can justify the truthfulness of evolution of species. Physiology is the study of the functions of the cell structures. A close study of the functions of the cell structures has revealed that there are a lot of changes that have taken place on the structure of the cells as well as their functions. Even at the moment, it should be understood that the cells and structures of organisms are continuing to change over time. This only affirms that evolution is working and that it is not stopping any time soon. Human beings are the most recent species according geology. Hominids have taken different paths regarding evolution since they were apes. About seven million years back Homo sapiens which is the current man started evolving. Archaic Homo sapiens began their evolution four hundred thousand years back as the current human beings have a history of about 170,000 years. Knowledge about evolution keeps on changing, and that is why people can understand that they were related to the chimpanzees seven million years back. Human beings have gone through different stages of evolution like Neanderthal man, Australopithecus Africanus, Homo Erectus and Homo Sapiens amongst others that have not been mentioned. The most important thing to take note of is that, as man evolved, the brain capacity increased and he was able to undertake complex activities that he was not able to do initially. The man moved from being close to the apes to acquiring traits that people have in the contemporary society. There were disagreements regarding how human beings evolved with different scientists taking various positions. However, there was agreement that human beings were very close to orang-utan and that evolution began in Africa and Asia. Africa became the cradleland of mankind and fossil fuels that were found there, indeed, supported that life started there. Even if people have not agreed on how evolution took place or where it is started, it is important to note that evolution was a reality and will still continue in the lives of human beings. Natural selection was pivotal in the evolution of species. Natural selection was pivotal in enabling species to adapt to the environment starting with the evolution of the genes. The changes in the genes through mutation also led to the changes in the physical structures or bodies of organisms including human beings. Evolution has taken a long period, and for sure it will continue taking time because it is a gradual process. All species change because of evolution, and so human beings are not an exception. DNA is the building structure of organisms. As a biomolecule, it puts together the blueprint forming the structure of an organism. DNA has got two stands that are long and twisted. The strands have got genetic information that is complementary. A gene is part of DNA, and it is passed on from parents to their children. Genes determine the traits of the children. They are packaged and organized into units that are called chromosomes. A normal human being has got twenty-three pairs of chromosomes. Each parent contributes a pair of chromosomes to an offspring. Mutation is important in changing the genes and chromosomes of an individual within the DNA structure. The changes in the genes can make individuals adapt to the environment in which he or she stays without having problems. This promotes evolution because such individuals can reproduce and produce fertile offspring which is also likely to change. The mutation may also not impact on the genes, and in this case, individuals will be the same, so their chances of survival and reproduction will not be impacted on. In some other cases, the mutation may reduce the chances of individuals to survive and reproduce by altering the genes in a manner that is not favorable for development. This is because they have acquired traits termed as maladaptive. The changes in DNA, genes, and chromosomes for sure will change the structure and functioning of human beings thereby promoting evolution. It is very important to understand that there can be no transformation of the genes unless there are genes that one can talk about then. Change in genes begin by changing the current genes to new genes otherwise that change is impossible and cannot take place. The essay has proven that evolution is true by explaining the many theories that support it. However, at times it may be hard to prove the theories scientifically, and that is the reason as to why it may not be possible to support evolution fully. This is why it is important to look at facts that object the truthfulness of evolution. It is not realistic to have life originating from things that do not have a life. Furthermore, there is no truth in organisms evolving from simpler forms to more complicated ones. If this could have been the case, simple organisms would not have been there over the millions of years since they came into existence. Simple organisms would have all evolved to complex organisms. The explanations given on evolution by fossil fuels is not realistic. This is because if a layer of earth is dug, it will reach a point whereby there are no fossils. Does this mean that human beings were not there before? How possible is it to have some fossil remains of ancestors without having the original ancestors so as to show that there have been changes going on over the years. The fossils also do not give the different forms of transition between the different species. Evolution has got a lot of missing link in it, and that is why it is very hard to rely on evolution by making use of fossil fuels. There is no evidence that shows that some animals have changed into some other types of animals. Scientists who supported evolution made assumptions in instances whereby they did not have evidence. Evolution is still a theory that cannot be proven scientifically and to prove it, several millions of years will be needed. From the creation story, God created human beings and different species of plants and animals on different days. This being the case, it is not realistic to say that there was an evolution of different species. If this could have been the case, there are some species which would not have been existing at the moment because they have evolved to some other species that were not created by God. Living things were created for different reasons, and some of them have got the ability to do different things at the same time to bring balance in the ecosystem. This being the case, evolution does not add up because it is not possible to have things running smoothly in the world yet evolution is a gradual process that takes place step by step. 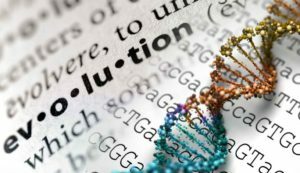 Scientists have found it hard to prove the steps that evolution has been involved in and the interconnection of the said steps. It is impossible for something that is very complex in nature to come from undirected evolution that is random. Believing that evolution works and is why plants and animals exist needs a lot of faith than anything else. It is very easy to believe that God created the universe as opposed to evolution that is said to have taken place over a million years at a gradual pace. It is not very easy to visualize that evolution will continue taking place as time goes by because the evidence is not fully convincing. At the same time, if one backdates evolution to several million years back, there will still be no clear picture about it. This is just proof that evolution may not be a reality. If it had been real, it would have been very easy to look at its past and present without struggling or relying on assumptions. From the scientific perspective, we still lack new structures or new organisms in the world. Besides, there is no gap regarding organisms as each fits into its space. Therefore, evolution is wrong. Coyne, J. A. (2009). Why evolution is true. Oxford: Oxford University Press. Isaacs, D. (2012). Extinction of evolution. Readhowyouwant.com Ltd.